I was recently approached to review a brand new fact book about bathrooms. At first I wasn’t sure about how interesting the book would be to me however as someone who is interested in weird and wonderful facts, I thought I would give it a read. 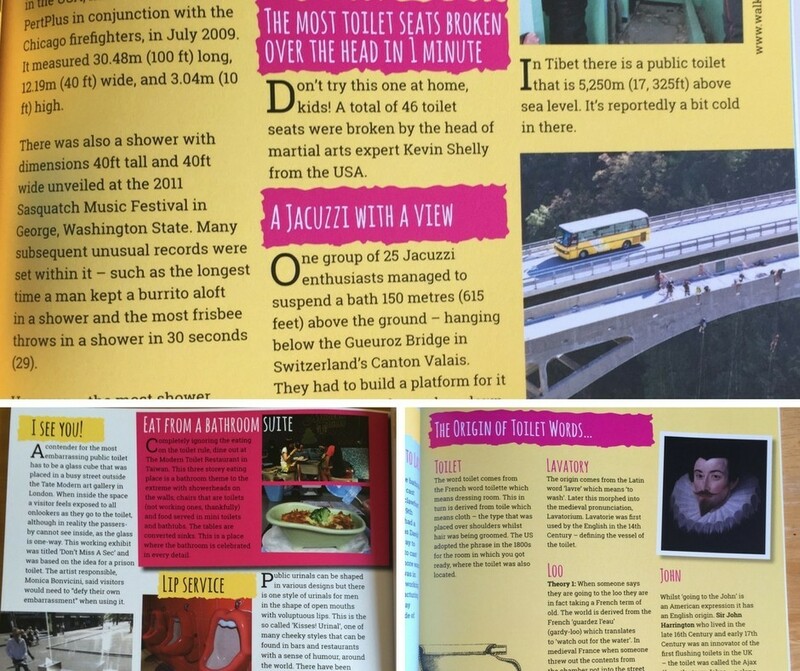 The Ultimate Bathroom Book was put together and written by Director of Soakology Peter Hirsch and includes lots of different crazy facts and stories all about…you guessed it…bathrooms! 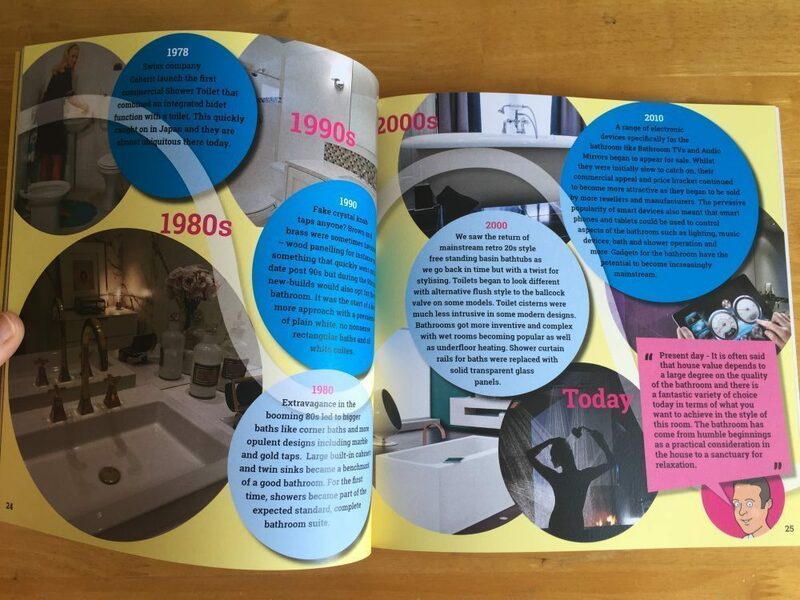 The Ultimate Bathroom Book is a colourful, bright book which is packed full of information and stories about the wonderful world of bathrooms, how we use them, and how they were developed. We all use a bathroom in some shape or form each day (or at least I hope we do!) and this book answers questions you didn’t even know you had about them! It covers everything from historical bathroom facts to the craziest bathrooms ever! Each page is bright and colourful, with lots of information available. The great thing is that it is designed to be dipped in and out of, to be picked up and put down so although there are specific chapters and sections, you can pick it up and read any part of the book at any time. Amazing Historical Facts About The Bathroom: On the Titanic more than 700 passengers in third class had to share 2 baths between them all! The Timeline Of Modern Bathroom Design: 1928 – toilet paper was sold in rolls in Europe. Bathroom Cultures Around The World: For lovers of beer, in the Czech Republic you can take a bath in the stuff! The World’s Best And Worst Bathrooms: The good = The Serenity solid bronze bathtub with silver and gold accents costs £50,000. The bad = the toilet handle in a public toilet can have up to 40,000 germs per square inch! Bathroom World Records And Extremes: The largest public restroom in the world is in China and has more than 1000 toilets spread over 30,000 square feet and is a popular tourist attraction! Also, a US martial arts expert (Kevin Shelly) holds the record for most toilet seats broken over his head in 1 minute. His record stands at 46! 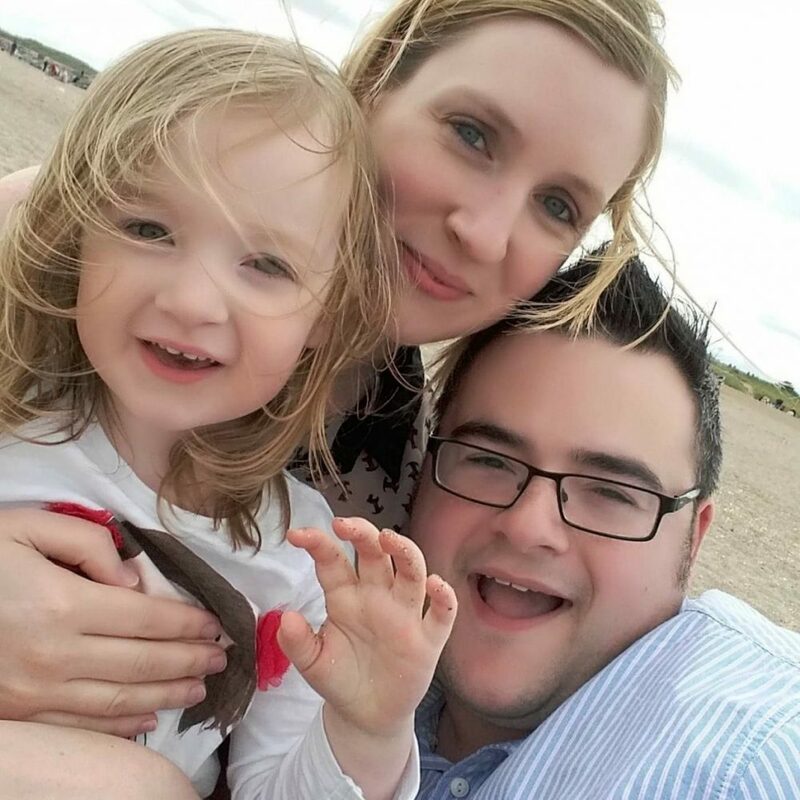 The Workings Of The Bathroom: Includes loads of facts about what actually happens when you flush your toilet and where not to put your toothbrush! What We Get Up To In The Bathroom: 55.2% of us will let someone else into the bathroom while we are using the toilet. Also, 84% of people prefer to take showers than baths. The Journey Of Water And How We Use It: over the past century our global water consumption has increased tenfold. Also, the toilet is flushed more times during the advert breaks in the Superbowl than any other time of the year in the USA! What We Want From A Bathroom: We want a place to gather our thoughts and to sit down on the toilet gives us that moment of peace. More people in the world have mobile phones than toilets! The Craziest Bathrooms Ever: There is a bathroom in Mexico that has been created above a 15 storey elevator shaft with a transparent floor exposing the drop below! A pop-up urinal was invented to hide under the pavement in the day and rise in the evenings to stop men urinating anywhere they felt like it in the street during the night. 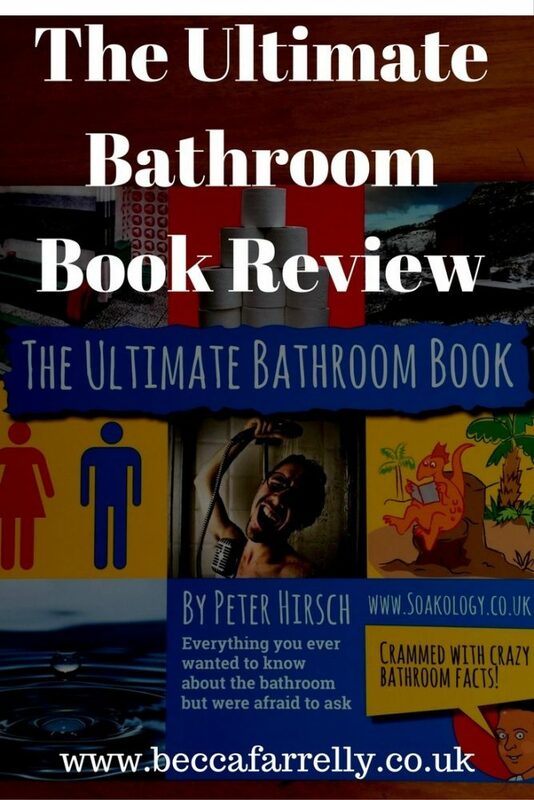 It is a really easy book to read, with bright colourful pages crammed with humorous, interesting facts and figured about anything and everything bathroom related. It is a genuinely interesting read and the illustrations add to the quirkiness. My favourite section has to be the world records section as I’m interested in records set for seemingly random things! 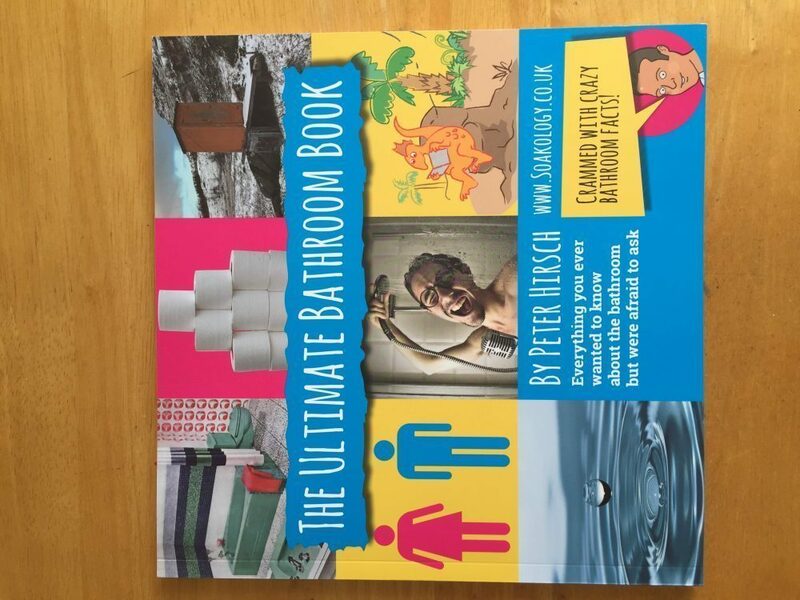 Priced at £14.99, The Ultimate Bathroom Book is a great present for anyone who is interested in facts they can whip out at a dinner party and I really enjoyed the opportunity to read it! hehehe! This made me chuckle but what a fantastic idea for a book! This actually sounds very interesting. Those poor people in 3rd class on the Titanic haha. I do love a good fact book! Thanks for sharing your review on #TriedTested this week! Looks like it’s a useful book. I want to try that and see for myself as it interests me. I’m a lover of all things for the home.